Backyard Monsters is a battling game where instead of raising an empire, you raise monsters. You start Backyard Monsters with 1,000 coins, a green landscape, and a tutorial. There are all sorts of buildings and machines to construct. Some are already built for you. Your twig snapper is used to harvest twigs which are used to construct and upgrade buildings. Twigs as well as pebbles, putty, and goo are very important resources. Don’t forget to protect your land from monsters; they can come from all different directions. 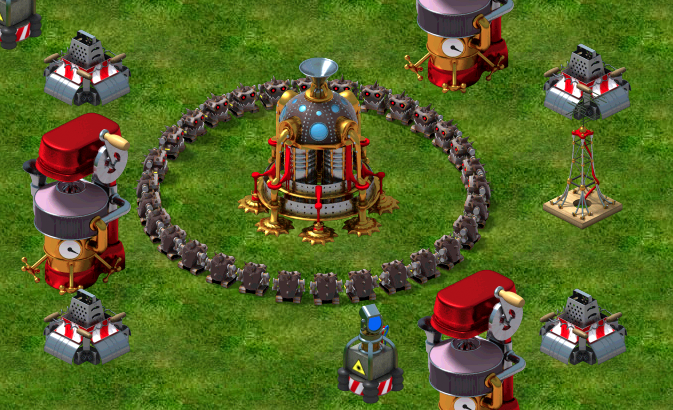 Some buildings are used as defense. Build sniper towers, cannon towers, and laser towers and squash those enemy monsters to mush. Your monsters are called Pokeys. Actually Pokeys are only your first monsters. Build a monster locker to unlock new monsters. Pokeys are little pink critter monsters with very sharp teeth that can devourer your enemy’s backyard empire in a flash. But your Pokeys need housing (so build it) and they need a way to get over to your enemy’s backyard. You can build a flinger that will literally fling them into battle. Eventually you will need tougher, stronger, and uglier monsters. Build their housing and unlock them from your monster locker. 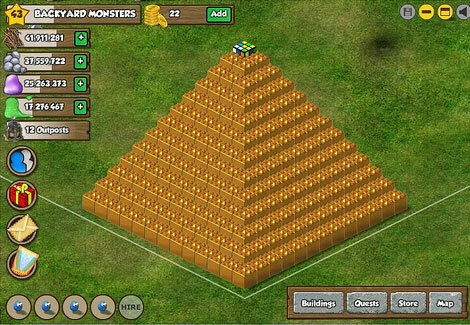 Quests will allow and help you build your monster backyard empire. Most quests have you constructing buildings, unlocking and hatching monsters, attacking enemies, doing good deeds, and doing bad deeds. After completing quests you gain certain amounts of resources which include twigs, pebbles, putty, goo (used to hatch new monsters), and shiny. Shiny is Backyard Monsters currency that is used for speeding up the building construction process. Shiny can also be used in the place of resources when you need to build something in a hurry. Always remember to upgrade your town hall; this will unlock new buildings. 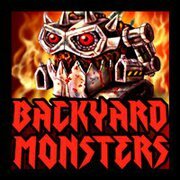 In Backyard Monsters, you gain resources fairly quickly – after you upgrade buildings and after completing quests. Backyard Monsters is a bit hard to navigate some times. There are many quests available at the beginning of Backyard Monsters, but often you do not have all the resources to complete a quest. A solution could be to hide that quest until you are close to acquiring enough resources to complete it. Also it can be hard to find the correct housing to store each type of monster. 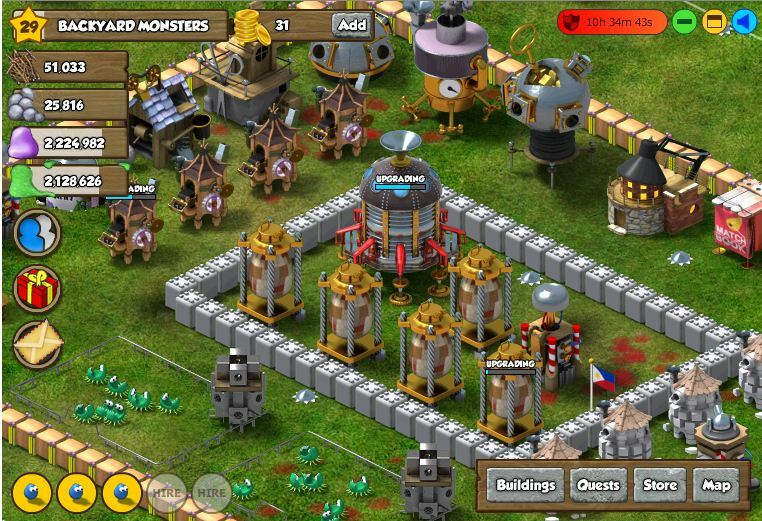 Backyard Monsters is great for gamers who love empire building apps. It could also be a great game for mature children who love playing with and creating monsters. Plumber Reloaded – Can Plumbing be More Interesting? what level is required to have a kit?